By buying this product you'll earn up to 17 Rewards points. 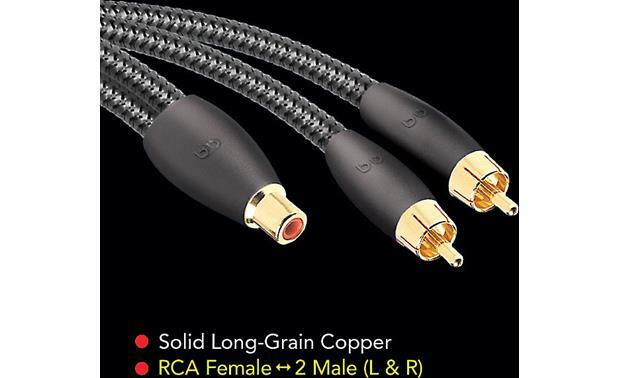 AudioQuest's well-made FLX-X female-to-male RCA Y-adapter provides a solid, high-quality connection for lots of home audio configurations. Use it to combine two channels into one or split one channel into two. 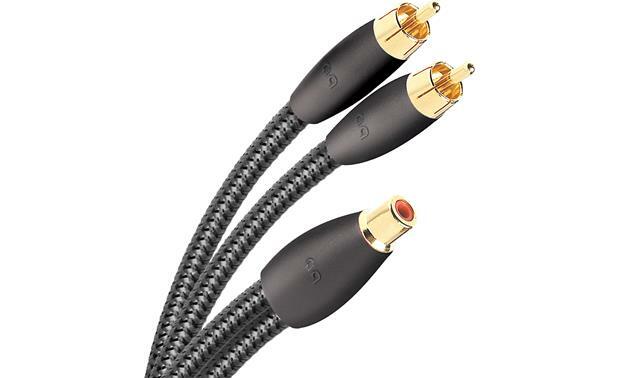 Signal wires are made of AudioQuest's low-distortion Long Grain Copper, and the gold-plated connectors ensure a solid, corrosion-free connection. This Y-adapter is handy for hooking up multiple amplifiers or subwoofers in a home audio system. If I hook up one of these audioquest splitters to 1 end of a single RCA cable and another splitter at the other end of the RCA will I receive a stereo signal to the end unit? No, I don't think so. I used two of the splitters to bridge between the "pre-out" and "pre-in" jacks to feed the left and right inputs on a powered sub woofer. Hope this helps. Searches related to the AudioQuest FLX-X RCA Y-Adapter 1-female-to-2-male audio Y-adapter.